Younes Kaboul is back in the Sunderland squad for this weekend's trip to Liverpool. Centre-half Kaboul has been out since December's defeat at Chelsea with a hamstring injury, but has returned to training and been involved in a couple of practice matches. Sunderland boss Sam Allardyce has confirmed that the French international will be in the squad for Saturday's clash at Liverpool. After January signing Lamine Kone impressed on his debut in Tuesday's defeat to Manchester City, Kaboul is likely to be on the bench - probably at the expense of veteran Wes Brown. But while the prognosis is positive on Kaboul, Seb Larsson's recovery from knee ligament damage continues to take longer than expected. It was initially expected that Larsson would be sidelined for around five weeks, but the Swedish international has already be on the treatment table for more than two months. Allardyce said: "Kaboul will be back in the squad, but Seb is still having a little bit of trouble with the medial ligaments. "It's turning out to be a lot longer than we expected and it's obviously concerning for us. "But hopefully he will recover shortly. "He's worried about it as well because when the doctors say it should be six weeks or so, and it's not, players worry about it. "Some players heal quicker than others. "But it's gone a bit further than we thought with Seb, so he's more concerned." Meanwhile, Jeremain Lens is a major doubt to face Liverpool after picking up a groin injury against Manchester City on Tuesday night, which led to him being substituted at half-time. 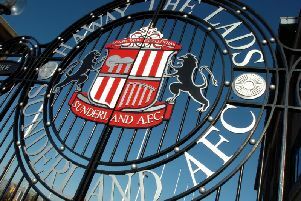 January capture Wahbi Khazri is on stand-by to make his first Sunderland start, if Lens misses out. Yann M'Vila is also an injury worry for Allardyce with a foot problem caused by a late challenge from Sergio Aguero against City, but the on-loan Ruben Kazan midfielder is expected to be available.